FuseSource is sponsoring a free community event in line up for the CamelOne conference. 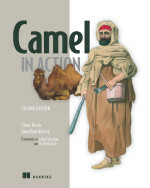 Many of us are going to be in the Washington DC area the week of May 23rd for CamelOne. Meet other users, developers and committers on Apache Camel, ServiceMix, ActiveMQ and CXF at a free Community Meet and Greet sponsored by FuseSource on Monday, May 23rd from 6-8 pm in the Pinzimini Restaurant at the Westin Arlington Gateway. This event will have free food and drinks and FuseSource is hosting it so that we can get-together and catch up while many of us are in town for CamelOne. There is a great speaker line up for CamelOne, and many of those speakers can't turn down free beers and to socialize. So come and say hi to the fathers of the EIPs: Gregor Hophe (author of EIP book) and James Strachan (founder of Camel). Also Jonathan and I will be there as well. And we are all speaking at the CamelOne conference. The free Community Meet and Greet is on Monday night, May 23rd, CamelOne runs all day on Tuesday, May 24th, followed by a reception, and we have 2 Day training classes running on Wed-Thursday. CamelOne is the premier Open Source Integration and Messaging Conference, and in one session-filled day you can learn about the advantages of open source software, how to successfully develop and deploy solutions, and what organizations like FAA and Sabre Holdings are building with open source. CamelOne is the first ever community event created specifically for enterprise users of open source Apache Camel, ServiceMix, ActiveMQ and CXF. It includes technical and business sessions, and keynote presentations by Gregor Hohpe, co-author of Enterprise Integration Patterns, James Strachan, the creator of Groovy, Apache Camel, and many other widely known open source projects and David Linthicum, CTO and Founder of Blue Mountain Labs, and Author of Enterprise Application Integration. The event will also include technical sessions, networking venues and hands-on product training from FuseSource, the leading vendor of open source integration and messaging solutions. Many Sessions from Developers and Project Founders and Committers covering Apache Camel, ServiceMix, ActiveMQ, and CXF. 2-Day Hands-On Training Classes on ServiceMix with Camel and ActiveMQ. More details about speakers and agenda at the CamelOne web site. Great conference. Too bad it wasn't in Cuba!